But just because I can’t go doesn’t mean you shouldn’t! Start your night off at Seed Space to see the continuing All the Lights in My House by Rocky Horton. It’s exactly what it sounds like: all the lights in Horton’s house. He’s going without electric light until the exhibition is over. 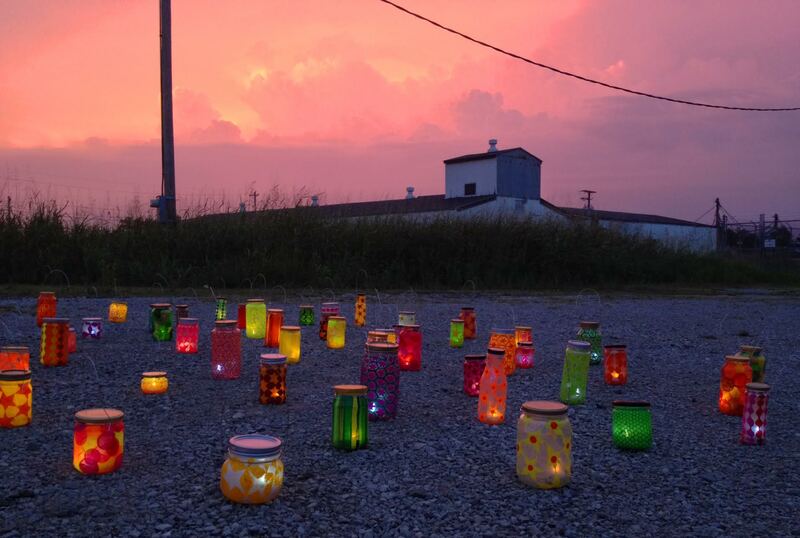 While at Seed Space, pick up one of Modular Art Pods participant Beth Reitmeyer‘s hand-made lanterns, a one night performance called Art is Illuminating. You can keep your lantern and take it with you from gallery to gallery. Seed Space is inside the Track One complex. While there, head down the hall to the Track One gallery to see The Silo Room, a group show curated by Courtney Adair Johnson (also a MAPs participant) and featuring the work of Johnson, Myles Bennett, Nance Cooley, Justin Gill, Lauren Gregory, Andy Harding, and Kit Kite. A little before 9:30, visit Ground Floor Gallery to see SYSTEM POLITICS, an exhibition and performance by MAPs and Circuit Benders’ Ball participant Morgan Higby-Flowers with special guest Patrick Deguira. The “no-input audio/visual performance” starts at 9:30 in the back alley of Ground Floor. MAPs participants Brandon Donahue and Emily Holt will be in group shows, Donahue at David Lusk and Holt at Julia Martin Gallery. Over at the Downtown Art Crawl, Emily Sue Laird and Ross Denton have a show at Watkins Arcade Gallery. (I interviewed Emily Sue Laird for Nashville Arts Magazine here.) And that’s just a few of the dozens of events happening Saturday night. Joe Nolan at the Scene has the details on the rest. Saturday at Coop Gallery: James Connolly’s Cathode Ray Tube Synthesizer 05-02-2015 Help the Other Booking Fund a New WeHo Music Venue!